It’s always interesting to browse through the weekly schedule on Boxrec.com to see what surprises pop out at you. From time to time, a real shocker jumps out at you. 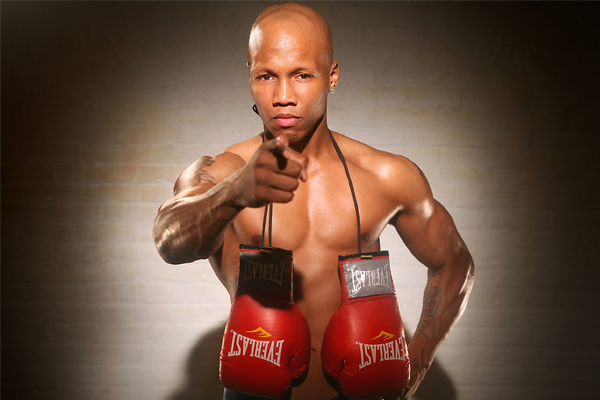 This week it is former Welterweight World Champion Zab Judah, who fights this Saturday night in Calgary. Now 40, Judah is more than a decade removed from his prime. When he emerged on the boxing scene at the turn of the century, he had the look of a potential superstar: outstanding length and athleticism, alongside flashy hand speed and technical polish. He was very much a contemporary of Floyd Mayweather and from the start was viewed as a potential rival. He was also cocky to the point of being off-putting–a fighter many fans loved to hate. In 2001 Judah suffered his first career loss by stunning Round 2 KO against Kostya Tszyu. This is one of the most re-played knockouts of the Youtube era–Judah was knocked flat on his back, made it to his feet but then stumbled and jerked across the ring, clearly unable to defend himself. His reaction to the stoppage was the cause a near riot in the ring. He re-bounded from that setback, though. After losing to Corey Spinks in 2004, he came back and defeated him in 2005, to become the lineal Welterweight Champion of the World. The stage seemed set for a superfight showdown with Mayweather. Judah then suffered a major upset loss to Carlos Baldomir in January 2006. Three months later he lost to Mayweather and was stopped by TKO when he fought Miguel Cotto in June 2007, giving him a three-fight losing streak and effectively ending his time as a true, top-level contender. Judah’s best win in the past 10 years came against Lucas Matthysse in 2010–a controversial split decision. He was knocked out by Amir Khan in 2011 and lost back-to-back decisions to Danny Garcia and Paulie Malignaggi in 2013. At that point he retired. Judah has a comeback fight in January of last year–he knocked out a 12-7 club fighter in Trenton, New Jersey. I am not sure anybody even noticed. He faces another club fighter this weekend, in 21-13-2 Noel Mejia Rincon. I can only surmise that Judah is still fighting at this point because he needs the money. Even if he did not live up to his early potential, he has left a worthy legacy behind himself in the sport–he was a legitimate World Champion. Nothing he is doing at this point adds to his legacy at all.